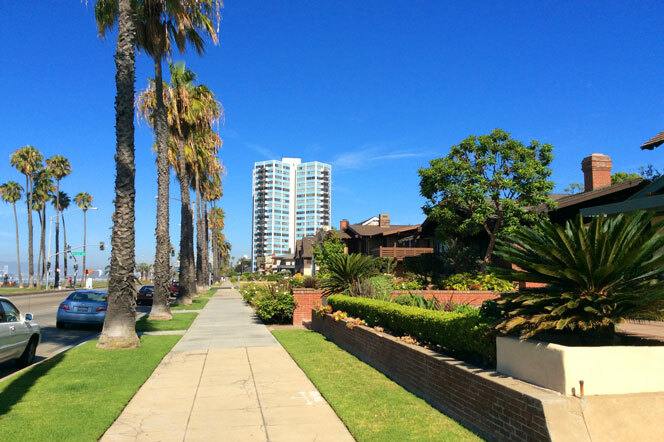 The Galaxy Towers are a vertical complex of condos for sale located in the Historic District of Belmont Heights in Long Beach, California and sits right next to Bluff Park. Known for their light blue panels and sky scraping height, this mid-century modern building was constructed in 1966 and has been kept in pristine condition. The Galaxy Towers sit right next to the water on Ocean Boulevard providing stunning panoramic views of the Pacific Ocean far beyond Catalina Island. In construction of The Galaxy Towers complex, privacy for its residents was at the forefront of importance by placing only 4 units per floor without any shared walls. The insides of these units have any astounding 1500 square foot of area meticulously detailed with hardwood floors, glass walls in every room, spacious walk in closets, washer/dryer units, extra external storage space, secured parking, and more. The Galaxy Towers Condos for sale start around $600,000 and scale to $800,000.